Oklahoma Connection | Scott came to Oklahoma during the opening of the Unassigned Lands in 1889. The first time most Oklahomans may have ever heard of Dr. Angelo Scott was when they actually heard him. A tall, scholarly gentleman, Scott’s “strong, carrying voice” made him the perfect leader to preside over the mass meetings of those who had participated in the historic Land Run of April 29, 1889 as they clamored for land lots and disputed over plats for townsites. Honored as Oklahoma’s “Most Useful Citizen” in 1937, the Honorable Angelo Scott was born in Indiana and came to Oklahoma during the opening of the Unassigned Lands in 1889. His newspaper, Oklahoma Times, was the first publication of its kind in the territory when it debuted on May 9, 1889. He served as a member of the Third Territorial Council (1895-1897). 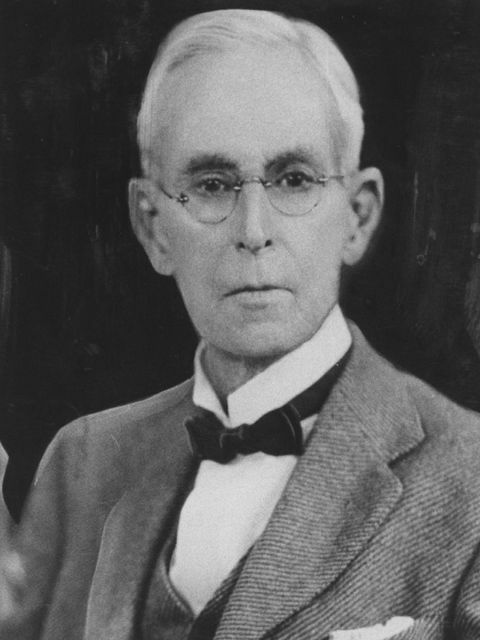 He authored the reference book Practical English and was the president of Oklahoma Agricultural and Mechanical College (A&M) at Stillwater (1899-1908). Dr. Scott also served as Dean of the Graduate School at Epworth University, now Oklahoma City University, and was the director of the Extension Lecture Department at the University of Oklahoma. He was also among the founders of First Presbyterian Church, the Chamber of Commerce, and president of the prestigious Men’s Dinner Club of Oklahoma City.